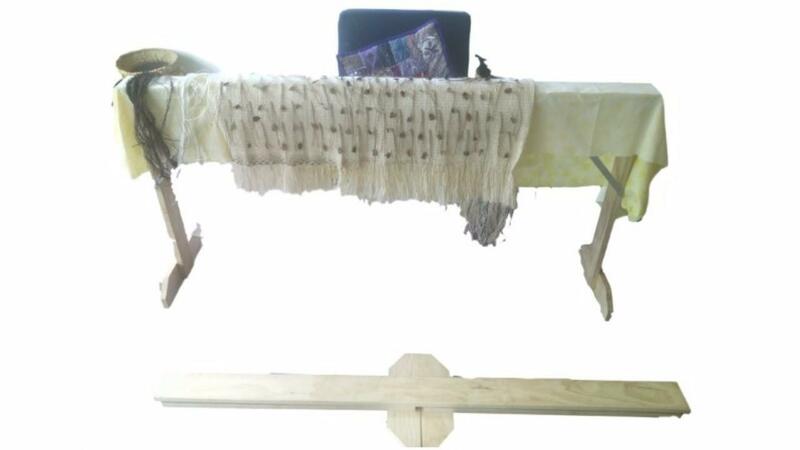 This weaving stand will give you hours of weaving pleasure wherever you choose to weave. Simply collapse your stand and take it with you! Created by Rangi Hetet based on a design he made for his wife Erenora. This portable weaving stand will enable you to take your kākahu with you so you can weave wherever you go. Simply collapse the stand and carry with you. Created by Rangi Hetet, based on a design he developed for his wife Erenora in the 1970s. Lightweight at less than 5kg. Some minimum assembly required.